Own this legendary fighter that helped reshape the direction of battles in the skies over Europe and the Pacific. Our “weathered look” frame covering gives the P-51D Mustang the appearance of a battle hardened, brute muscle fighter. This RC flyer is easy to assemble and will have you flying in no time. High quality construction and attention to detail means that your plane always looks aggressive and authentic, whether on the ground or in the air. 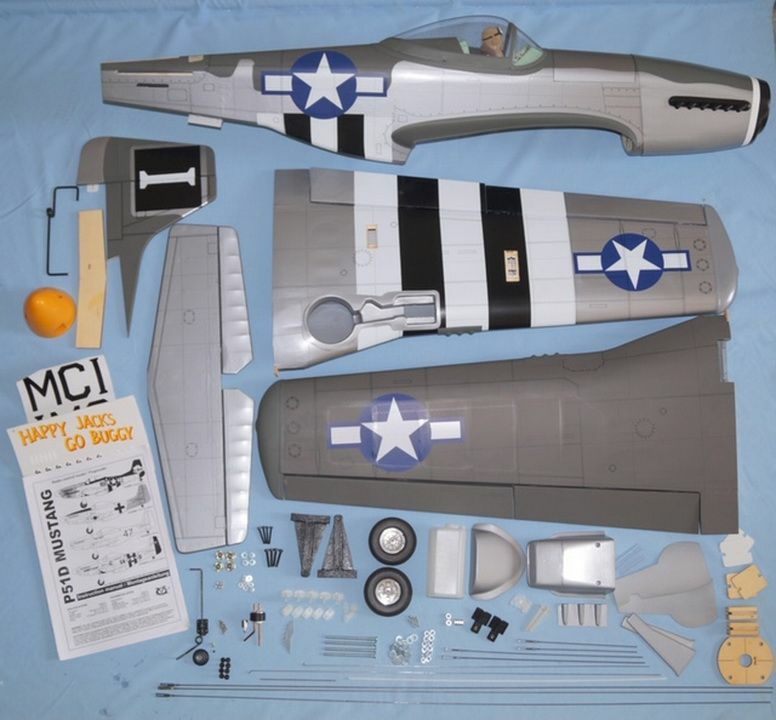 Add this historically accurate and correct to scale replica fighter to your squadron of planes today! New Version comes with flaps and an integrated easy to open and secure Electric Battery Hatch just forward of the canopy. Some basic electric motor mounting hardware is also included. Add on the VQ E-RETRACTS for this P-51D which include functional Oleo struts for better ground handling and smoother landings. With E-RETRACT easy installation, hooking up performance enhancing retracts with oleo struts is easy!